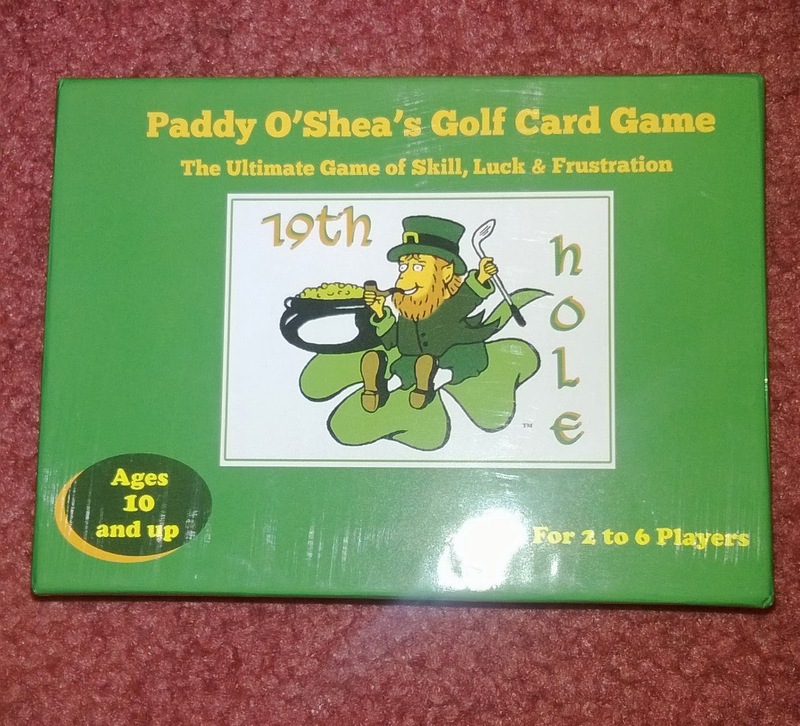 I love St. Patrick's Day and when I was able to review this Paddy Patty O'Shea's Golf Card Game I was really excited I am a irish girl and anything to celebrate gets me excited!! This is going to be really nice to play at a St Patrick's Day party. 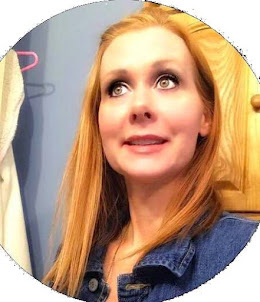 Through the coming years I would love to start a new tradition to start with the kid's and family and friends to find St Patty's Day themed games that would just add to the fun and help bring out the irish in us. This game can be played with just 2 people and up to 6. The game comes with two decks cards and even comes with a scoring sheet like golf. 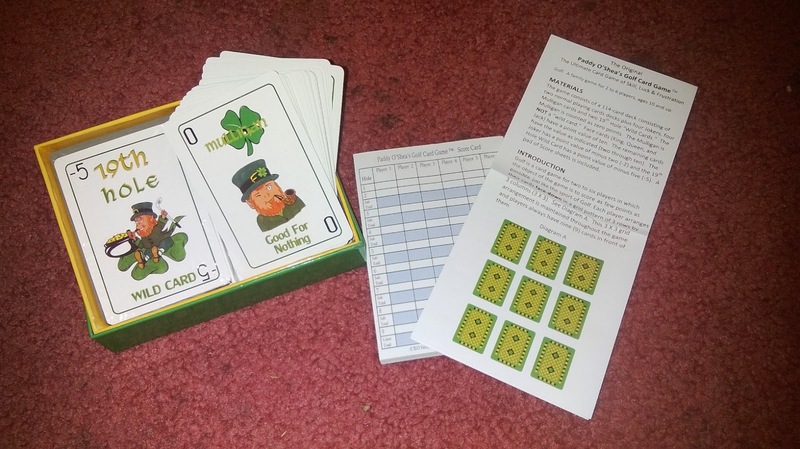 Paddy O’Shea’s Golf Card Game is a new family card game based on the popular version of the card game "Golf." It is a fun game that golfers, card players and people who play board games find entertaining and exciting. The game is for 2 to 6 players ages 10 and up. 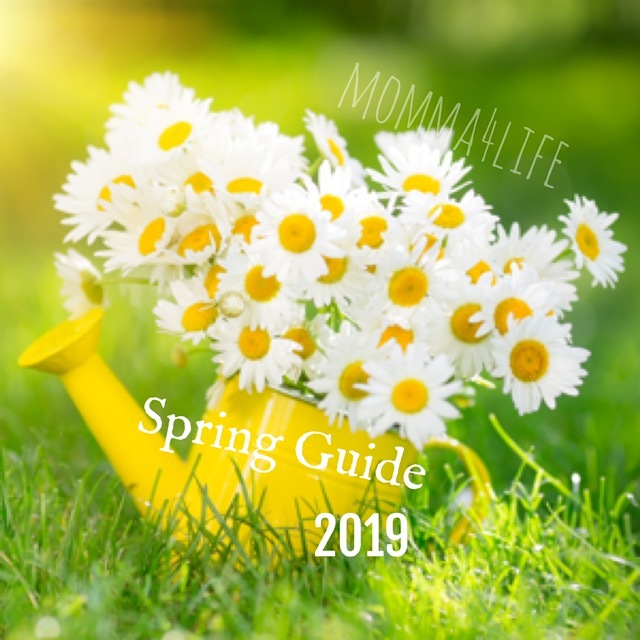 It is easy to learn! Would you like to win this Card Game too?? ?